Hey! Remember us?!?!? Remember how we used to put out records all the time, and now we only do it sometimes?! Well, one thing hasn't changed- we still have a lot of great records left and we want you to buy them! 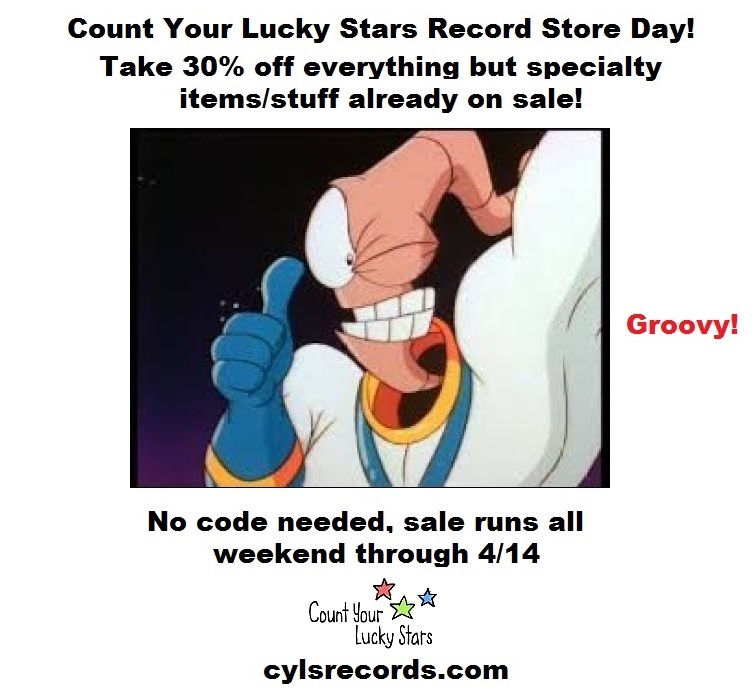 With that in mind, welcome to our wackiest sale ever- Take HALF OFF EVERYTHING IN OUR STORE (with the exception of the specials that are on sale all the time- 10 for 10 CDs, random records, etc.). 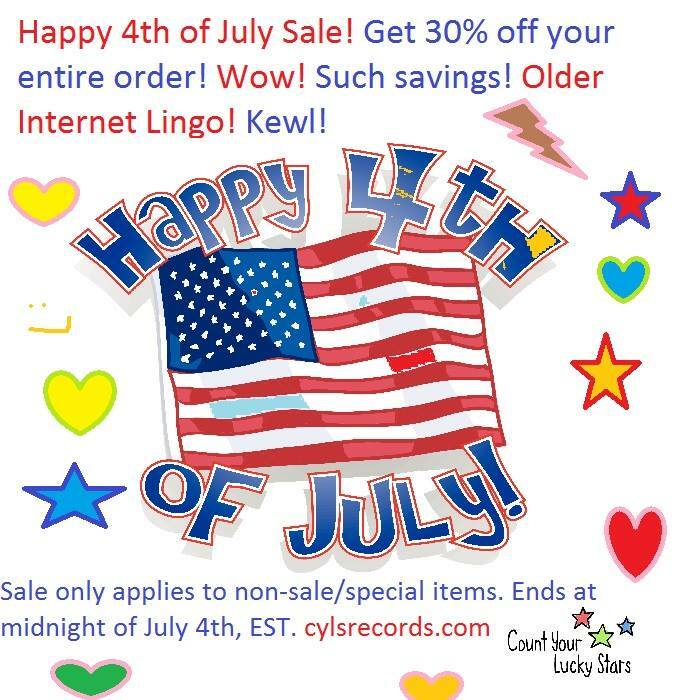 THIS SALE INCLUDES DISTRO. 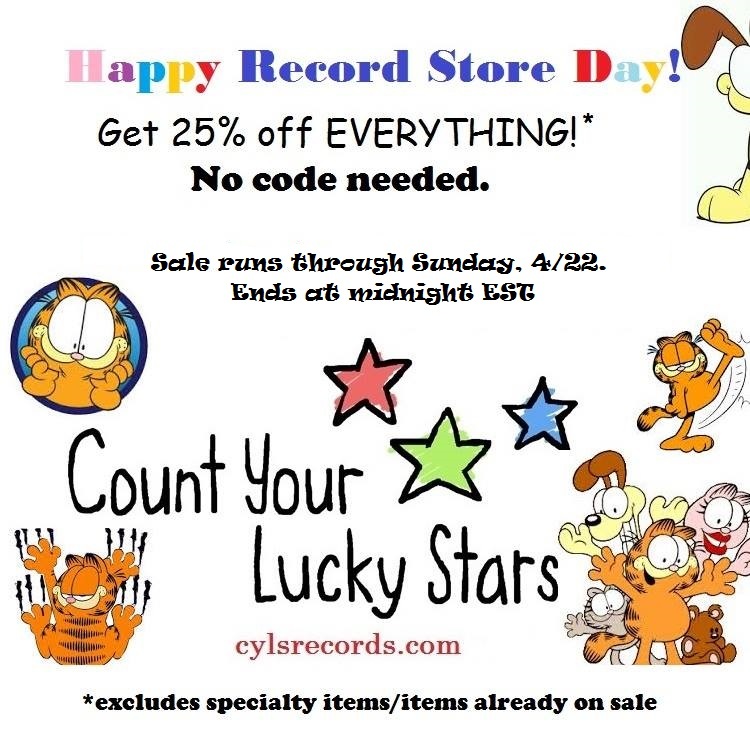 Hurry though, because some records are super limited in stock and a lot of those puppies will never be back in print! ONCE THEY ARE GONE, THEY ARE GONE! WHAT, YOU WANT MORE?! Well, ok. How about all digital via our Bandcamp is FREE/PAY-WHAT-YOU-WANT?! But hurry, because this sale only lasts through Cyber Monday (11/26) at midnight. No code needed, just buy, buy, buy!!!! Love, your friends at CYLS. Happy Holidays! No code needed, go spend your little hearts out! Sale runs until Sunday night (4/22) at midnight EST. Well, it's that time of year again! 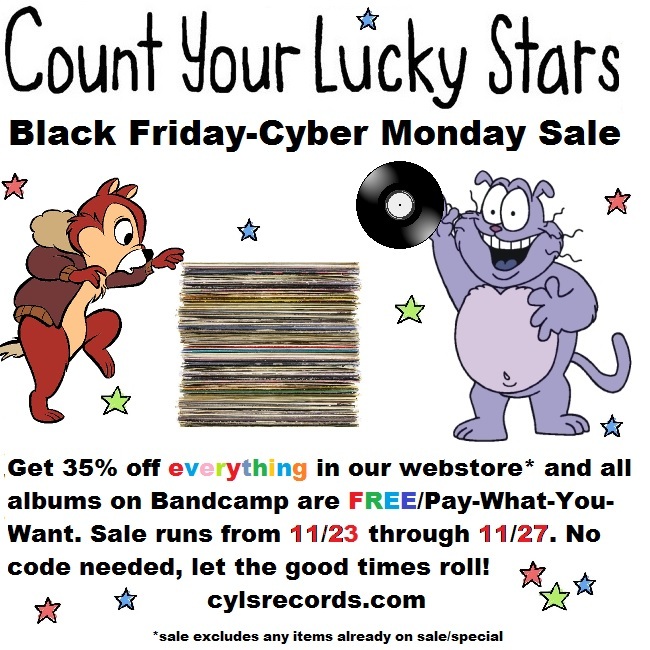 The dreaded holiday shopping season is upon us again, and we at CYLS are celebrating it with at whopping 35% off everything in our webstore (except for sale items) for Black Friday AND every album on Bandcamp is FREE/Pay-What-You-Want! (We secretly hope you pay $100/album, but you do you, internet). Eager to get spending, are you? Let's kick it off a day early and start it today on Thanksgiving! Heck, we'll give you all weekend to save on these incredible deals. Treat yourself, send your friends and family our way, go nuts. 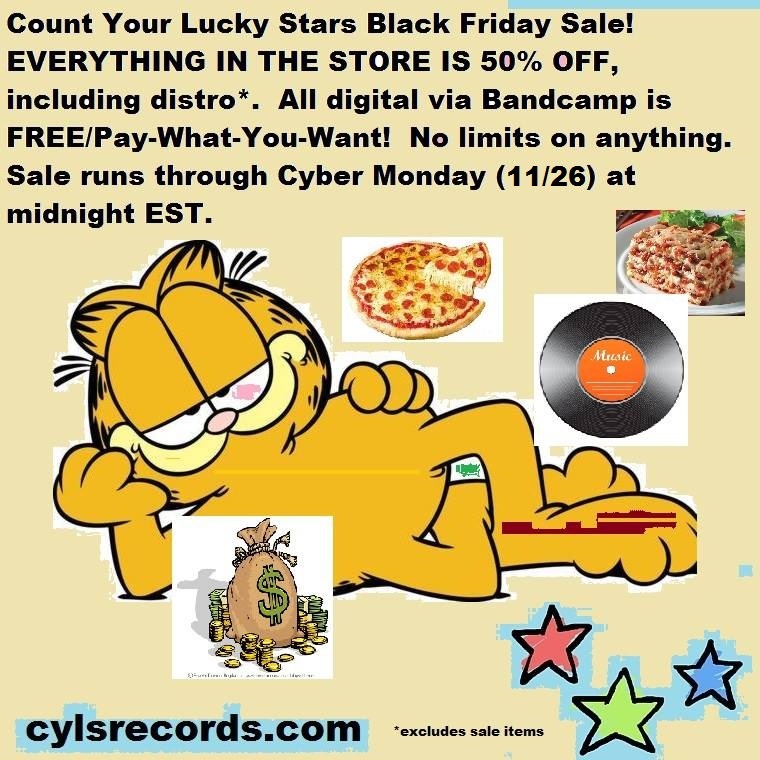 The sale runs through midnight EST on 11/27 on Cyber Monday, which is plenty of time to take out a substantial loan/remortgage your house/sell a kidney for records.